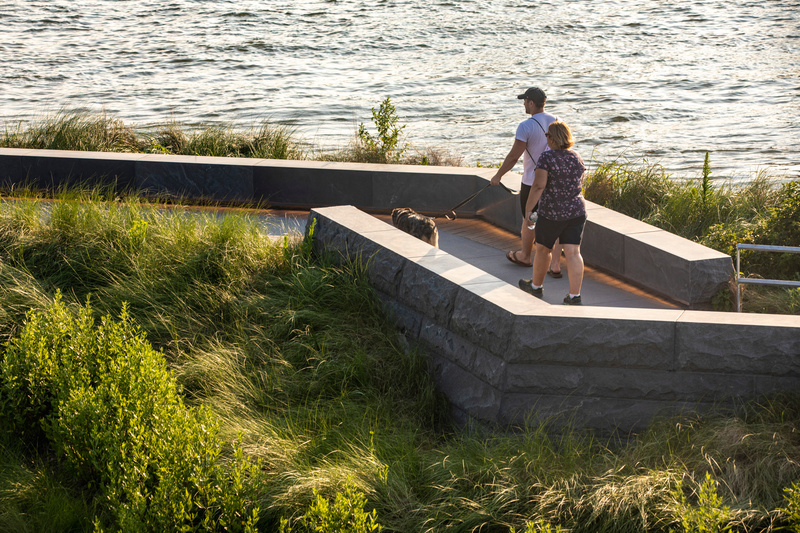 The park’s recently completed second phase offers New Yorkers an “urban wilderness;” pathways snake along the site’s contours and in between newly re-introduced wetlands and the water’s edge. Plantings engender a sense of immersion in nature. 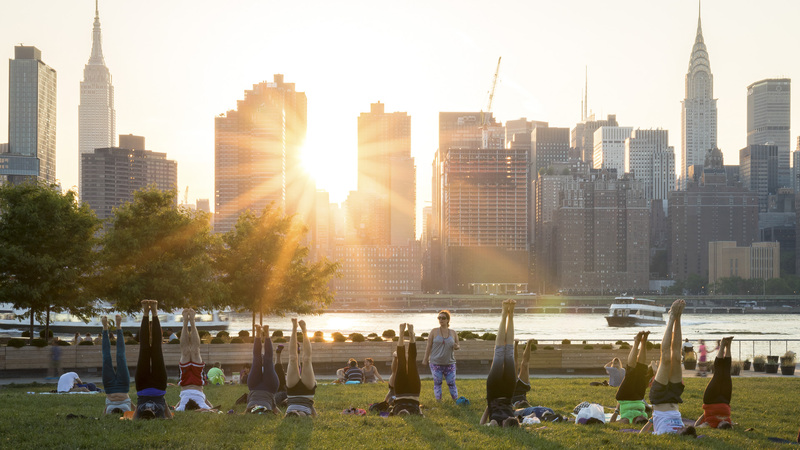 Visitors are always conscious of Manhattan’s proximity, just across the river. A dramatic, cantilevered overlook offers visitors expansive views and the perfect setting for a selfie or even a marriage proposal. 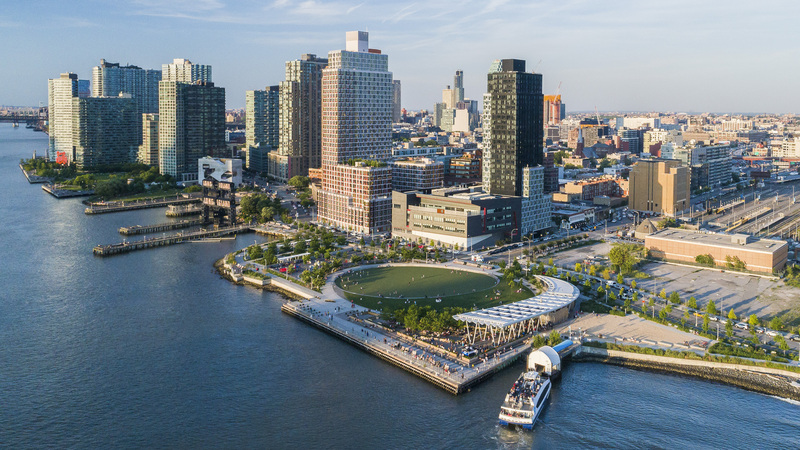 Designed in collaboration with Weiss/Manfredi, Hunter’s Point South Waterfront Park will serve an ambitious adjacent affordable housing development, with more than 5,000 units in the works. 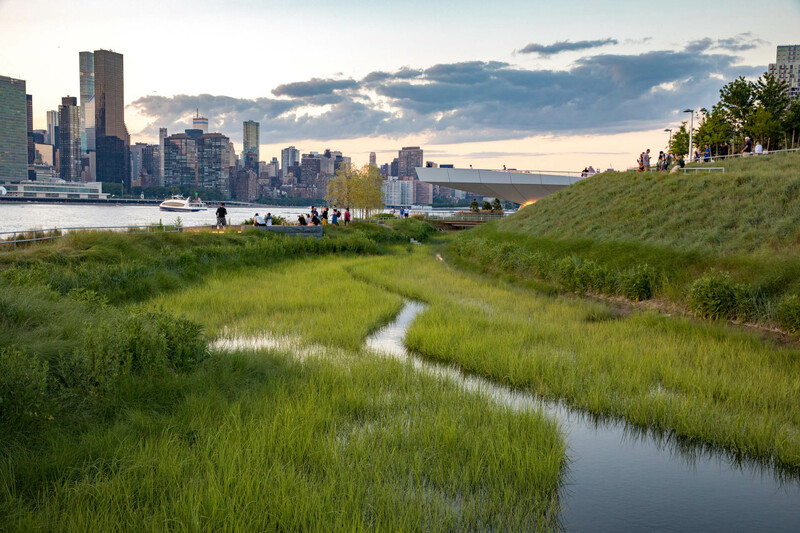 The park’s full extent is visible here, from wetlands and gambion edges designed to withstand flooding, to more imaginative elements, including the overlook and the “island” featuring artist Nobu Nagasawa’s art installation. 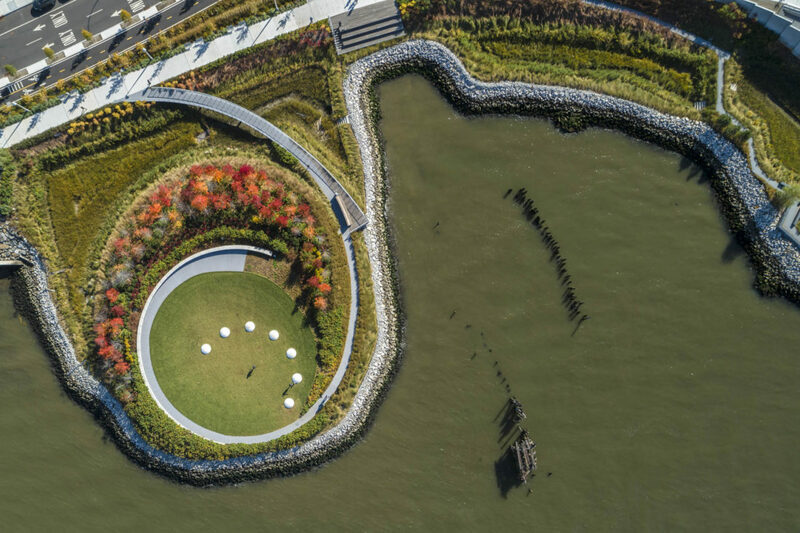 Landscape architecture, architecture, art and engineering are fused in this extraordinary park, which was the result of a deeply collaborative process. Shown here is a team sketch by Thomas Balsley, Marion Weiss, and Michael Manfredi, the park’s primary authors. Arup’s engineers played a key role in the artful integration of infrastructure. The park was conceived as a whole, then approached in two phases. The park’s first phase, shown here, focused on programmed spaces and also integrated infrastructural functions. 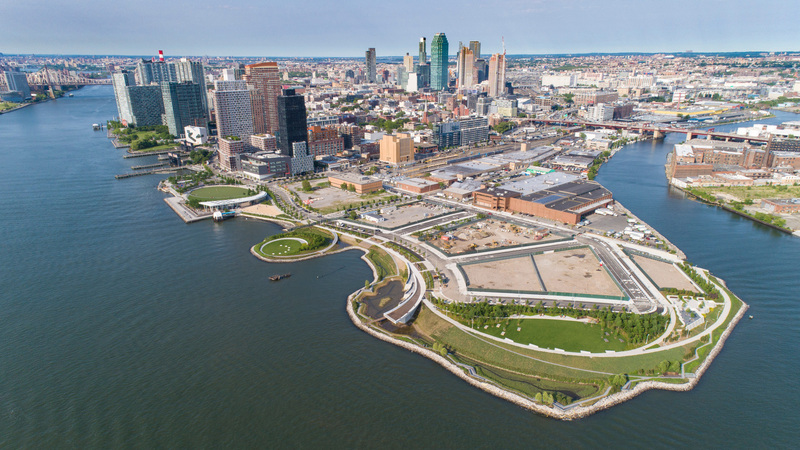 The expansive oval green, for example, serves as an athletic field for a nearby school, and during hurricane Sandy, doubled as a retaining basin for floodwaters. People are drawn to the water, whether to sit or to stroll…. … or to engage in exercise or outdoor classes. 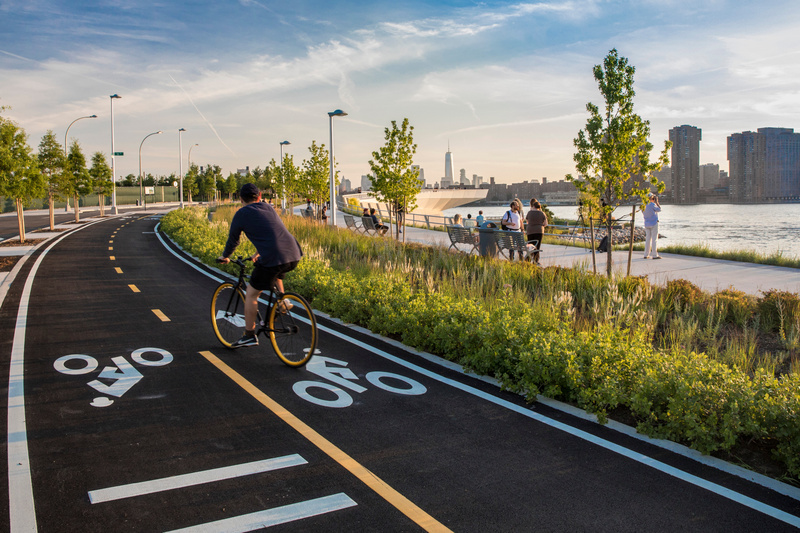 Hunter’s Point South Waterfront Park anticipates all of this, and more. 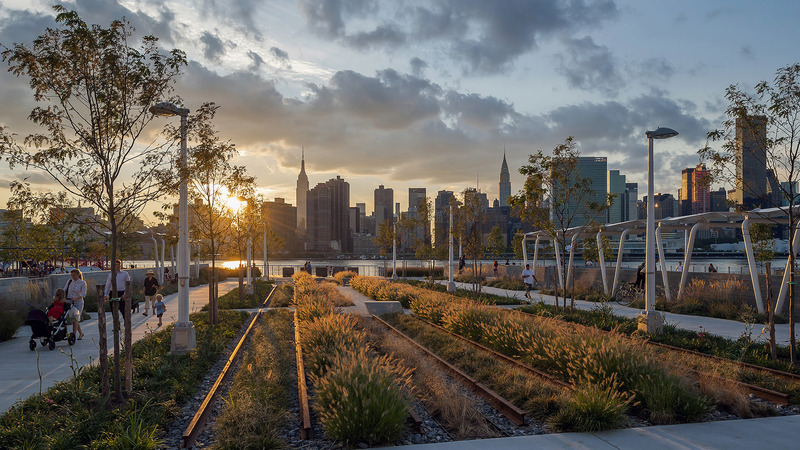 The park also nods to the site’s history, transforming former railroad tracks into garden beds. It’s an escape from the hustle and bustle of the city. 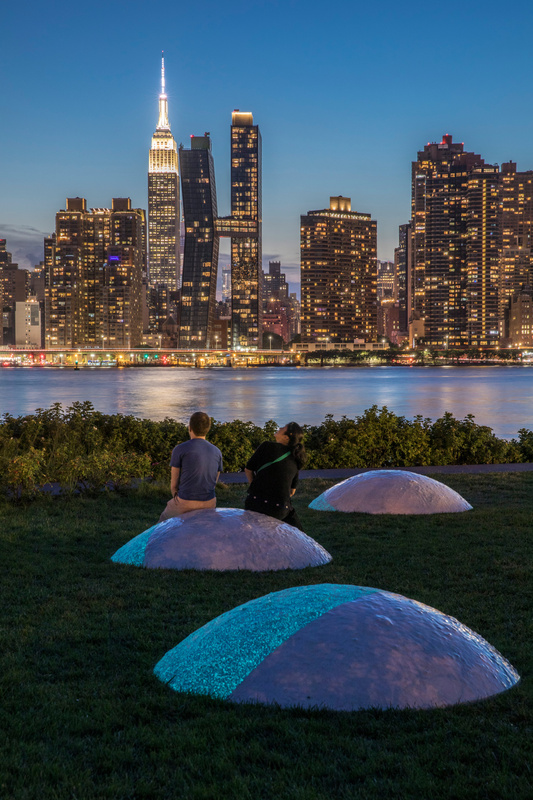 …or experiencing the magic of Luminescence, Nobuho Nagasawa’s art installation, at dusk, the park is a memorable place. 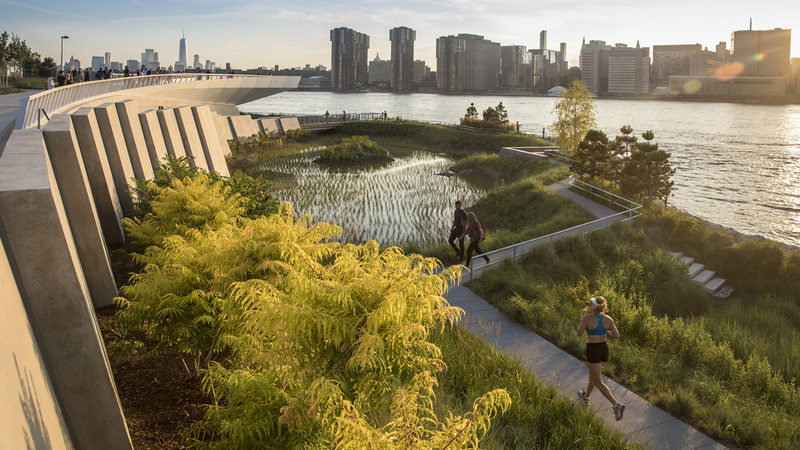 Hunter’s Point South Waterfront Park is an international model of urban ecology and a world laboratory for innovative sustainable thinking. 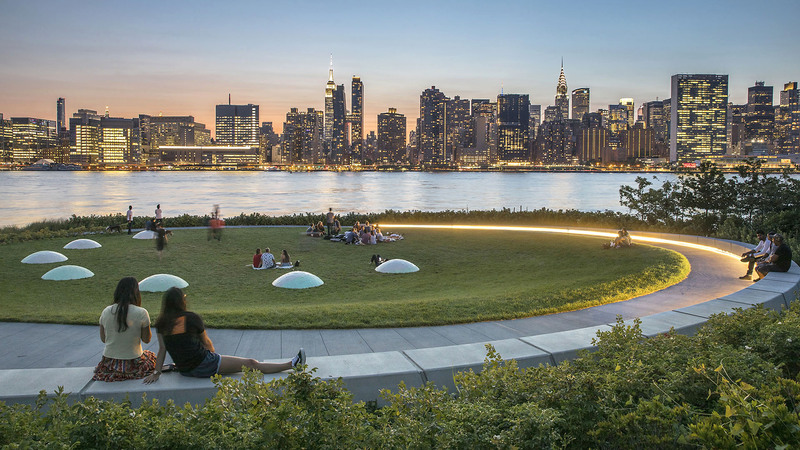 What was once a barren post-industrial site has been transformed into a world-class park that is both urbane and otherworldly. The site is waterfront and city; gateway and sanctuary; blank slate and pentimento. These readings suggest an approach to the landscape that enhances what is unique about the site, while framing a new multi-layered identity as a recreational and cultural paradigm. 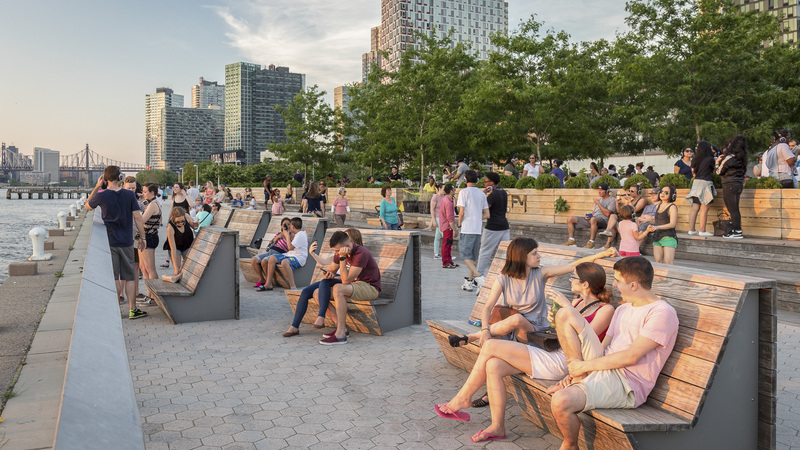 A collaboration among Thomas Balsley Associates and WEISS/MANFREDI for the open space and park design, with ARUP as the prime consultant and infrastructure designer, the project’s innovative and sustainable design strategies weave infrastructure, landscape, and architecture into new open spaces with connections to the surrounding communities. 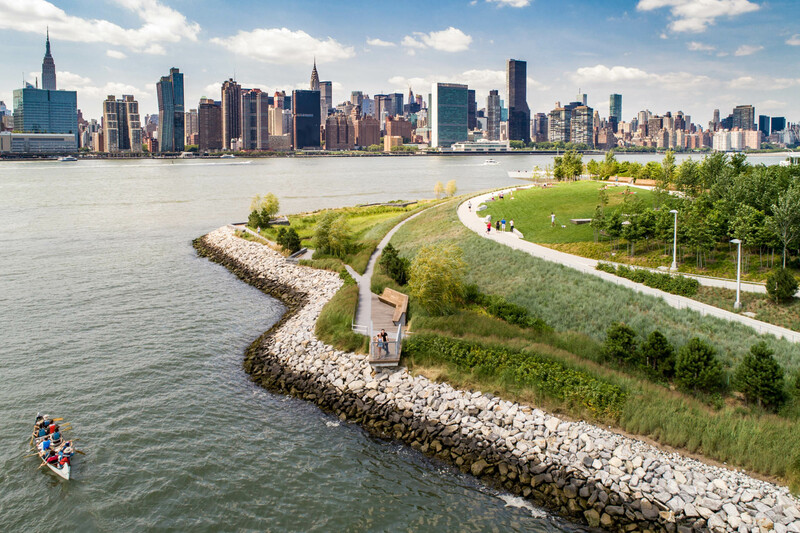 The park provides access to the water’s edge and spectacular views of the Manhattan skyline. Designed by Thomas Balsley while at Thomas Balsley Associates, together with WEISS/MANFREDI and ARUP.